The Clippers have their sights set high for this upcoming season. Led by a star-studded roster, Los Angeles will look to reign atop of the Pacific Division and bring home a NBA title. Division rivals, Los Angeles Lakers and the Golden State Warriors will battle to prevent the Clipper's aspiration. Lob City is a must see show for any basketball fan in Los Angeles. Grab your LA Clippers tickets and head down to Staples Center to be a part of your team's championship hunt. The Clippers have been quite consistent recently when it comes to making it to the playoffs. They have made it past the regular season in each of the last six seasons, except for this most recent season. The Clippers finished with a 42-40 record for the regular 2017-18 season. This placed them second in the Pacific Division but tenth place in the Western Conference, unfortunately not qualifying for the playoffs. But the Clippers are back for the 2018-19 season ready to make some noise in the post season. The Los Angeles Clippers have delivered plenty of memorable moments over the years and here are two of those. The Inaugural Playoffs Series Triumph - It was on May 1, 2006 that the Los Angeles Clippers made it to the second round of the postseason for the first time since their move to LA. That day at the Staples Center, the Clippers turned it on and trounced the Nuggets 101-83 to clinch the series, 4-1. They came up short against the Suns in the next round, but the 2006 campaign still remains one of the most memorable ones for everyone associated with the Clippers. Back to Back Division Titles - The Los Angeles Clippers went 40-26 in the 2011-2012 season, a record that was good enough to put them in the second spot in the division standings at the end of the season. The Clippers had been improving steadily by that point, but they were still waiting for a title. That all changed in the 2012-2013 season. The Clippers went 56-26 to get their hands on their first division championship. If that was not enough, they went on to repeat the trick next season too with a 57-25 record. Those successive division title wins put the Clippers on the map as a team to be respected. The Los Angeles Clippers two biggest rivals right now are the Los Angeles Lakers and the Golden State Warriors. The Clippers-Lakers Rivalry- The Clippers and the Lakers had faced each other before but the rivalry really took off when the Clippers set up camp in LA in 1984. The Clippers spent their first few years in the Los Angeles Memorial Sports Arena which at one point in time was used by the Lakers too. When the Staples Center opened in 1999, both the Clippers and the Lakers moved there. They first met as cross-town rivals on November 24, 1984 at the Los Angeles Memorial Sports Arena. The Lakers won the game 108-103. Since the Clippers move to the city, these two sides have squared-off on 146 occasions. The Lakers lead the head-to-head series, 99-47. 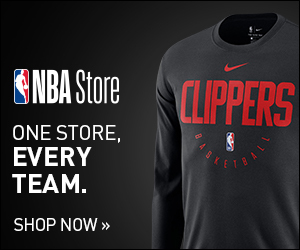 Clippers-Warriors Rivalry- The rivalry between the Los Angeles Clippers and the Golden State Warriors is a more recent one. For a long time, these two sides were struggling and no one really gave them too much thought. Then something happened and both the Clippers and the Warriors began to improve at more or less at the same time. In fact, the Clippers looked to be the better of the two teams and then in the 2013-2014 season they met in the First Round of the playoffs. The Clippers came out on top, 4-3, in what was an unforgettable series. The Warriors however ended up having the last laugh as they won the NBA Championship twice in the next three seasons, while the Clippers have not made it past the Conference Semifinals. This has been a tough pill to swallow for the team from LA. The Staples Center is the home of the Los Angeles Clippers and one of the most famous venues in the country. It plays host to over two hundred and fifty events annually and close to an incredible four million people visit it each year. It has also been the venue for seven NBA Finals and two Stanley Cup Finals. It has also hosted two NBA All-Star Games and NHL All-Star Games, each. The Staples Center has also been the venue for major UFC and WWE pay-per-view events. That is not all as some of the biggest names from the music industry have also performed there. Linkin Park, Lady Gaga, Usher, Rihanna, Taylor Swift, Keith Urban, Chris Brown, Van Halen, Lady Antebellum, Jennifer Lopez, Aerosmith, The Rolling Stones, Beyoncé and Roger Waters among other superstars have stepped on to the stage at the Staples Center to perform for their fans. Playing their home games at the beautiful downtown Staples Center, which they share with the Lakers and Kings, the Clippers will look to hang their own championship banners in the arena. Clippers game tickets will also grant you access to, "Lob City," one of the best shows in town. Chris Paul is one of the best players to have ever laced up a pair of basketball boots for the Los Angeles Clippers. He was part of the team between 2011 and 2017 and during that time, Paul became a nine-time NBA All-Star and an NBA All-Star Game MVP. He also made it to four All-NBA First Team squads and was declared the NBA assists leader on four occasions. Blake Griffin has been a member of the Clippers’ roster since 2009. He has become a five-time NBA All-Star and also won the NBA Rookie of the Year Award in 2011. Elton Brand played for the Clippers between 2001 and 2008. During his time in LA, Brand became a two-time NBA All-Star and made it to All-NBA Second Team once. The NBA schedule is out and the Clippers look all set and ready to make a mark during the latest campaign. Hopes are high among fans and that is why Los Angeles Clippers tickets 2018 are in high demand. If you want to join them, then this is your chance to do that. Our process for purchasing cheap Los Angeles Clippers tickets is simple and fast. There are so many online ticketing sites, that it can be hard for customers to find the right place to buy Los Angeles Clippers tickets at the cheapest price. At ScoreBig we think of our customers first and foremost. We offer daily deals for Los Angeles Clippers events, so our customers can get the best seats for the best prices. ScoreBig will always go above and beyond to offer the cheapest Los Angeles Clippers tickets on the market. The Los Angeles Clippers schedule above, displays all available events for 2019 and 2020. Once you find the event that you would like to go to, click the red “Get Tickets” button. It is located on the right-hand side of the event listing, it will take you to an Los Angeles Clippers event ticket page. ScoreBig's event ticket page will display all available Los Angeles Clippers tickets for that event. On the event ticket page to help with your search for the right Los Angeles Clippers tickets, use the filters at the top to select quantity, price range, and more. There is also an interactive seating chart so you can pick where you want to sit. When you are ready to buy a ticket, click on the listing, and you will be directed to ScoreBig's checkout page. Upon completion of the information fields, your order will be processed and your Los Angeles Clippers tickets will be delivered via email, mail, or to your mobile device. What makes ScoreBig’s site stand out from the rest? We are constantly analyzing our competitors to improve our site, service, and prices. ScoreBig.com employees strive to offer the best process and experience to buy cheap Los Angeles Clippers tickets. Our goal is to get you the best seats to Los Angeles Clippers events. We offer daily discounts on our site and for special promotions check out our newsletter. If there are no Los Angeles Clippers events currently available, you can use our search feature at the top of the page to see a list of all popular events going on near you. No matter your price point, we have all the best deals and discounts on Los Angeles Clippers tickets. For more information on prices of Los Angeles Clippers tickets and the schedule for Los Angeles Clippers, check out our listings above. The last thing you want to find out is when the Los Angeles Clippers event you wanted to go to is sold-out. Don’t worry in many cases ScoreBig has affordable tickets to sold out events. We sell tickets from GA all the way to premium seating and parking. Skip the scalpers in the parking lot and get your tickets online from top Los Angeles Clippers ticket brokers. We get you in all events, buy your Los Angeles Clippers tickets here from a brand that many trust and rely on for all their ticketing needs. ScoreBig offers a 100% money-back guarantee. If you have been in search of cheap tickets for Los Angeles Clippers, ScoreBig by far is the best option. That’s why ScoreBig has more loyal customers than any other ticketing site. Shop at ScoreBig for safe and secure Los Angeles Clippers event tickets.